Toronto, Canada, June 9, 2016 – FUJIFILM VisualSonics Inc., a world leader in ultra high frequency ultrasound imaging systems and subsidiary of FUJIFILM SonoSite, Inc., today announced a significant milestone in its history with the installation of the first Vevo® MD Ultra High Frequency (UHF) clinical ultrasound system at the Second University of Naples in Italy. With multiple successes in preclinical research over the last decade, the Vevo® MD is FUJIFILM VisualSonics’ first foray into the clinical market. 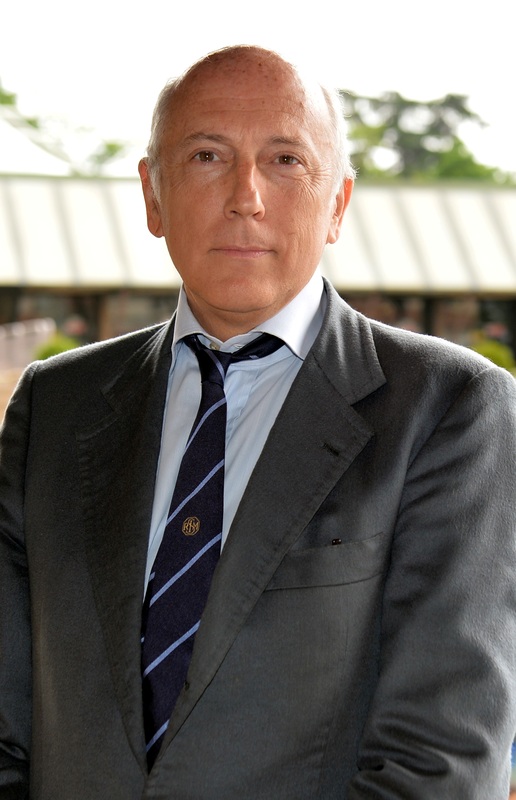 Dr. Roberto Grassi, Professor of Radiology at the F. Magrassi and A. Lanzara Department at the Second University of Naples. According to Dr. Roberto Grassi, Professor of Radiology at the F. Magrassi and A. Lanzara Department at the Second University of Naples, the institution has used VisualSonics ultra high resolution ultrasound systems for preclinical studies for approximately 10 years. These UHF systems have enabled the research team to study the anatomy of small animals, such as mice and rats, with a resolution down to 30 microns. The addition of Vevo® MD—which has been in use at Second University for about a month now—brings the team’s capabilities to a whole new level and shows great potential for developing novel applications in the clinical sector. First commercialized in Europe, the Vevo MD is truly a unique ultrasound system, as it operates at much higher frequencies than any conventional ultrasound system currently available. It allows medical professionals to see what they have never seen before—unparalleled image resolution down to 30 microns. The Vevo MD system is compatible with FUJIFILM VisualSonics UHF series of transducers. This patented transducer technology is capable of operating in a range of frequencies up to 70 MHz, a tremendous increase in resolution compared to conventional ultrasound systems. The Vevo MD was designed to play a role in a range of clinical application areas including neonatology, vascular, musculoskeletal, dermatology, and other small parts that are within the first 3 cm of the body. FUJIFILM VisualSonics, Inc., is a global leader in real time, in vivo, ultra high frequency ultrasound and photoacoustic imaging systems. With headquarters in Toronto, Canada and offices around the world, FUJIFILM VisualSonics is represented globally across an integrated sales network. FUJIFILM VisualSonics is recognized worldwide for providing cutting edge imaging technologies for the advancement of preclinical research particularly in cardiovascular, oncology, neurobiology and developmental biology areas. With the expansion of the product portfolio to include a new clinical product, FUJIFILM VisualSonics now broadens their range of imaging technologies across both preclinical and clinical markets. FUJIFILM VisualSonics is a subsidiary of FUJIFILM SonoSite, Inc. and a part of FUJIFILM Holdings Corporation. For more information, please go to: www.visualsonics.com. FUJIFILM SonoSite, Inc. is the innovator and world leader in bedside and point-of-care ultrasound, and an industry leader in ultra high-frequency micro-ultrasound technology. Headquartered near Seattle, the company is represented by 26 subsidiaries and a global distribution network in over 100 countries. SonoSite’s portable, compact systems are expanding the use of ultrasound across the clinical spectrum by cost-effectively bringing high-performance ultrasound to the point of patient care. For more information, go to: www.sonosite.com . FUJIFILM Holdings Corporation, Tokyo, Japan brings continuous innovation and leading-edge products to a broad spectrum of industries, including: healthcare, with medical systems, pharmaceuticals and cosmetics; graphic systems; highly functional materials, such as flat panel display materials; optical devices, such as broadcast and cinema lenses; digital imaging; and document products. These are based on a vast portfolio of chemical, mechanical, optical, electronic, software and production technologies. In the year ended March 31, 2015, the company had global revenues of $20.8 billion, at an exchange rate of 120 yen to the dollar. Fujifilm is committed to environmental stewardship and good corporate citizenship. For more information, please visit: www.fujifilmholdings.com .